In his rural school, Maïouf (whose name translates to “the abandoned one”) observes the reinforcement of Arab national identity among his classmates: every morning they sing the national anthem and raise their country’s flag sanctimoniously. Though he is alienated from these displays, his state school education enables his upward mobility and eventual financial enfranchisement. Altrad sets his semi-autobiographical novel in the 1960s, when Syria is ruled by the socialist Ba’ath Party, and he alludes to cultural and geopolitical issues that continue to inform the region today. In this tale of a boy caught between worlds, Altrad brings a sparse, lyrical quality to his prose that at times verges on the poetic. Maïouf, ever the promising scholar, graduates to secondary school, located in the town of Raqqa. There, he learns the lessons of class consciousness and social status, becoming doubly aware of his place on the margins. While his classmates don European clothes, “his old djellaba [robe] now betray[s] his origins a little more blatantly every day.” He is exposed to a more diverse urban life and cosmopolitanism, “a place where people from very varied backgrounds [live] alongside each other, a place where social differences [are] felt more acutely than in the villages.” He also confesses that this exposure includes his contact with the banned Muslim Brotherhood, marking one of the few places in the novel in which his widening social circle includes the possibility of an Islamist identity. The setting is significant — Raqqa will be captured by the Islamic State in 2013 and become the capital city of ISIS, making the novel more relevant and tragic, as the story of perseverance and success we read is no longer possible in this particular setting. Maïouf is steadily remodeled into a secular citizen of the Syrian republic. He falls in love with a girl, Fadia, who is also pursuing her education. Meanwhile, his uncle, a policeman, is framed for the murder of a fellow policeman by men intent on limiting Bedouin rights and is sentenced to prison for 20 years. Maïouf becomes accustomed to operating within authoritarian institutions — school, courthouse — and relinquishing some of his autonomy to the state. He places first in the regional university exams and is invited to Damascus, the capital, where he learns he will receive a scholarship to study in Montpellier, France. He excels in his course of study — petrochemistry — selected for him by the Ba’athist state. By erasing his past, making him a foreigner in Syria, and turning his life as a Bedouin into a memory, Maïouf’s experience of France prepares the ground for an inner conflict that threatens to lead him into profound turmoil. The tension between village and city is a common theme of Middle Eastern literature, and it is one that dominates the first part of the novel. Once Maïouf is living in Montepellier, this tension is outpaced by the cultural gulf between Syria and France, the clash between occident and orient. Maïouf changes his name to Qaher, meaning “the victorious,” and adopts European dress. In short, he undergoes one of those secular conversions that is often the target of ridicule on account of inauthenticity; Qaher becomes one of the arrogant authority figures he once despised. Broadly, the narrative shifts from the social engagement and activism of a young man dedicated to his people, to the atomized self-interest of an international engineer who makes a fortune in the Gulf working in the oil industry. Badawi becomes a coming-of-age story that traces social and political transformations, foreshadowing what we have witnessed in Syria since the end of the Cold War: the collapse of the social welfare state into eventual civil war and terrorism as a symptom of the onslaught of neoliberal capitalism. Qaher faces a third transformation in Abu Dhabi, in the world of the neoliberal petrodollar, where he takes his first job in the United Arab Emirates. Here, he is an assimilated European, rather than a Syrian, regularly drinking bourbon with his co-workers after hours. He is part of the Syrian brain-drain, and memories of his lost homeland fill him with mixed emotions. It is in the Gulf that Qaher loses himself completely, a process that is precipitated by the visit of Fadia, now a teacher, with whom he has made vague plans for marriage and a new life. Reunited with Fadia, he can’t help but brag: “The cities here are nothing like Aleppo or Damascus. They’re rich, modern and efficient.” And though he knows she hasn’t been to Europe, he asks her pointedly, “Have you ever been to the West?” Qaher emphasizes the differences he perceives between the West and the Middle East — agency versus servitude: “He’d had to learn to reason in a different way, to think and react like someone in control of things rather than subjected to them.” He believes he has attained agency, an illusion predicated on a binary opposition between tradition and modernity, or poverty and wealth. Fadia’s visit is followed by a fire in the sector of the oil refinery in which Qaher works, for which he is held under suspicion. Suddenly, the duality he’s felt internally is made manifest, and he realizes that “being an Arab among Europeans and a European among Arabs” is a dangerous thing. Badawi is rendered, for the most part, gracefully from the French by Adriana Hunter. It reaches its US audience belatedly; the novel was originally published in French in 1994. With its focus on the themes of abandonment, loss, success, and redemption among Syrians at home and abroad, the novel sheds light on the refugee crisis that has dominated headlines over the past two years. It is a revealing account that is certain to find its place in university classrooms. Nevertheless, it must be noted that Maïouf’s exile from Syria, however trying, owes to the privilege of education rather than the exigencies of dire poverty or state violence. Today, Syria is in a civil war, neighboring states and Europe are flooded with refugees, France has been hit by the suicide bombers of ISIS, and the UAE is guided by the strict principles of Islamic autocracy. It is possible to read the unraveling of the Syrian state as an imminent subtext of Badawi. The embattled ideology of Ba’athism, for example, extends to the present day under the rule of Bashar al-Assad. The novel is contextualized by the international forces that have decimated that country and the region: the legacies of European colonialism, authoritarian Cold War nationalism, and the ideology and funding of Islamic extremism based in the Gulf. In 2012, the Academy of Montpellier recommended Badawi for its curriculum in regional schools, doubtless as a lens into the tense history of North Africans and Middle Easterners in Europe. Altrad has two subsequent novels on similar themes, which promise to appear in English before long: The Hypothesis of God (2006) and The Promise of Annah (2012). 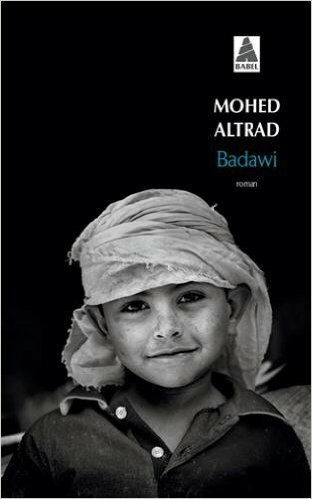 Much of the novel is true to Altrad’s own life, but while Badawi is a rags-to-riches story that ends in tragedy, Altrad’s own story ends happily. He has been dubbed the “Bedouin Billionaire,” and lives in Montpellier. Finally, Badawi makes a subtle case for the importance of free access to education and opportunity for the poor; it is, in short, a story about the value of secular social modernity. Granted, Maïouf ends up rejecting this privilege, perhaps because he misreads it as being a zero-sum decision between one’s origins and one’s enfranchisement. In contrast, the author Altrad understands the nuance of a hyphenated life. Altrad’s life story itself is argument for an investment in civic society, pointing to a need for precisely those things being denied to the waves of Syrian refugees flowing into Europe: access to education, social welfare, and opportunity spaces. Stories like Altrad’s, at the very least, are necessary because they remind us that past successes might be repeated with the end of civil war and the defeat of ISIS. Today’s Syria is no longer known for producing engineers, but refugees. This is the underlying tragedy that haunts Altrad’s account and serves as an indictment of the failures of international policies in Syria. Erdağ Göknar is director of the Duke University Middle East Studies Center and associate professor in the Department of Asian & Middle Eastern Studies. He is the author of Orhan Pamuk, Secularism and Blasphemy: The Politics of the Turkish Novel (Routledge, 2013) and is an award-winning literary translator.